They were born in different countries, grew up speaking different languages and study in different fields. But UC Davis’ three new CAMPOS faculty scholars have at least one key thing in common: Marie Cuevas Heffern, Miriam A. Nuño and Kara Rudolph all work to promote diversity in the STEM fields — science, technology, engineering and math. 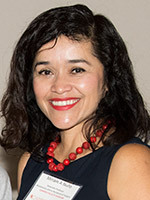 CAMPOS stands for the Center for the Advancement of Multicultural Perspectives on Science, which has brought in 21 faculty scholars in a 5-year-old recruiting effort that focuses on building diversity in STEM. The program began with a focus on Latina scholars and has since expanded to other populations. Watch the above video for an overview of CAMPOS and the role it plays in inspiring and encouraging students. Read about other CAMPOS faculty scholars and a trend of pushes for faculty diversity (from the spring/summer 2017 issue of UC Davis Magazine). Ken Burtis, faculty advisor to the chancellor and provost, said the CAMPOS faculty scholars’ unique perspectives and experiences can only improve the university. “Even though universities are most readily thought of as physical campuses or a particular set of academic programs, the heart of any university is the people who make it run and in particular its faculty,” Burtis said. CAMPOS originated in 2012 under UC Davis ADVANCE, funded by the National Science Foundation. Phil Kass, vice provost of Academic Affairs, cited these accomplishments: Nearly half of all new faculty hires the last five years have been women, and 19 percent have been underrepresented minorities. 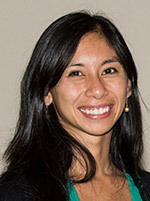 Marie Cuevas Heffern, assistant professor, chemistry — She may specialize in chemistry, but she doesn’t want to limit her work to that department. She said she chose to come to UC Davis for the opportunity to work in a cross-disciplinary environment and collaborate with researchers who have other specialties. She said that kind of environment would be unique anywhere else, but at UC Davis it’s the norm. “The students don’t realize it’s such a cool thing,” Heffern said. Nutritional biology is one of the areas where she hopes to collaborate. In her native Philippines, she’s seen hospitals so ill-equipped they can only heal by addressing the food patients eat. 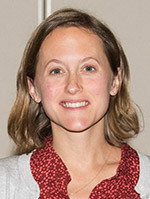 Her research program seeks to define and control the unique and dynamic chemistry of transition metals in biology from the molecular level to the whole animal. She seeks to investigate the bioinorganic chemistry of hormones in area of research that she terms “metalloendocrinology.” Understanding the influence of metals in facilitating and disturbing this biochemical balance will impact approaches to diet, pharmacology, and toxicology as they apply to endocrine disorders spanning diabetes, liver disease and cancer. She acknowledges chemistry can be a challenging subject for some students, especially those transferring from community colleges. Most of the students in the first class she’s teaching are transfer students, and she hopes to help students like them make a smooth transition into chemistry and other fields of study. Most recently Heffern was a postdoctoral fellow at UC Berkeley. She earned her Ph.D. from Northwestern University, and earned a bachelor’s degree from the University of Southern California. Miriam A. Nuño, associate professor, biostatistics and in residence of surgery — When she came to the United States from Mexico at the age of 15, she didn’t speak English, but she did understand numbers. She breezed through her math classes, and wound up studying mathematics and focusing in biostatistics. Nuño’s research interests focus on the design and analysis of observational studies, primarily in the context of public health research. Her work centers on three areas: health services research, causal inference methods and the application of mathematical models with observational data for the prediction of patient outcomes. In collaboration with surgeons, radiation oncologists and neurologists, Nuño’s work aims to provide a comprehensive assessment of patient outcomes, quality of life and access to care for patients diagnosed with cancer and other conditions. The first in her family to attend college, Nuño said she is where she is today because of the excellent mentors she’s had along the way. She recalls how her Ph.D. advisor at Cornell University helped her adjust to that school. She came to UC Davis partly to have the opportunity to mentor students and support their academic advancement in a meaningful way. Prior to joining UC Davis, Nuño worked as an assistant professor of neurosurgery at Cedars-Sinai Medical Center. She has done postdoctoral research at UCLA and the Harvard School of Public Health, and earned her Ph.D. at Cornell University. Kara Rudolph, assistant professor, emergency medicine in the Violence Prevention Research Program — She traces her interest in urban health all the way back to her childhood in two Michigan factory towns. She said the different demographics between her hometowns and the University of Michigan, where she earned her undergraduate degree, were jarring. “I’m trying to do whatever I can to make it not such an enormous contrast,” she said. She is a social epidemiologist who applies and develops causal inference methods to studying social and contextual influences on mental health, substance use, and violence. Speaking to her involvement in UC Davis’ Violence Prevention Research Program, she said she hopes her close proximity to the state Capitol can lead to relationships with people who can help make a difference in reducing violence. “California can hopefully be a model,” Rudolph said. Rudolph was most recently a postdoctoral scholar at UC Berkeley. She earned a Ph.D. and a Master of Health Science from the Johns Hopkins Bloomberg School of Public Health, and a bachelor’s degree from the University of Michigan.